Our Melbourne pro has a shot at landing tomorrow's quaddie at Caulfield. 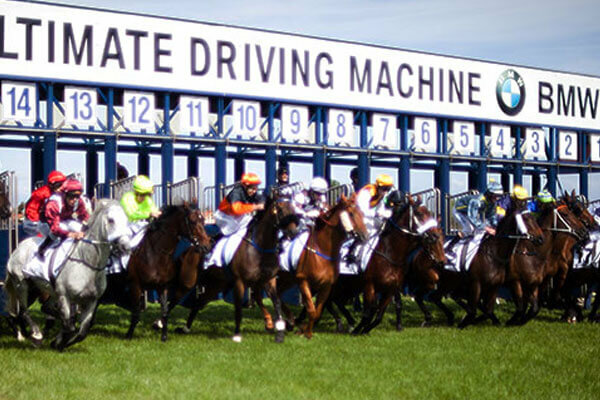 With Melbourne copping a few days of Sydney-style weather, our Melbourne pro Trevor Lawson goes in search of wet-trackers for Saturday’s Caulfield quaddie. 1 Artie Dee Two (Weir / Allen): Good win at the Valley and has won on wet ground before. 8 Wise Hero (Price / Dunn): Hasn’t raced on wet but has the pedigree to handle it well. Back from a spell and trialed well on the heavy. Won on debut. 9 Widgee Turf (Payne / Mertens): Also first-up, won on debut on a soft 7 and has a wet track pedigree. 2 Estaminet (Freedman / Mertens): Took a couple of runs to win last prep, but trialed well and is otherwise good fresh. Has had one run on a soft 7, running a place, but I’m not sure 100% how she’ll fare in the wet. 6 Miss Vista (Osborne / Meech): Terrific run first-up showing great speed. Free-running horse, again just not sure how she’ll the going. 8 Chiavari (Harnett / Allen): Good wet tracker: best figures are on soft ground so must include. 10 Grey Street (McArdle / Thompson): Terrific run first-up and will also handle the going. 1 Charmed Harmony (Sadler / K Mallyon): Terrific last start, a leader and runs well for Mallyon. He’s handled up to soft 5, so should be okay on this. 2 Star Exhibit (Weir / B Rawiller): A couple here are a bit of an unknown quantity including this one. First start from Perth for Weir, has Rawiller on. Handled the soft ground over there. Is really a 2000m horse. In short, who knows! 5 Heart Starter (Weir / Williams): Another one from Perth sent over to Weir and a tough one to read. Gets winkers on. 7 Whistle Baby (Ellerton & Zahra / Thompson): Ran well last week and gets the quick backup, which has worked with her before. Wouldn’t want it worse than a soft 6. 9 Mubakkir (Papazaharoudakis / Parish): Had a freshen up, and ran well off that last start. Will be up on the pace and should handle the going. 10 Top Me Up (Hawkes / Dunn): Just flying at the moment. At his best on the dry but won his maiden on a soft track. 9 Curragh (Busuttin & Young / Dunn): Came through a fast run Caulfield race two weeks ago. Stays well at 1600m and ideally suited to the wet. 11 Fastnet Latina (Alexander / Childs): Flying… unbeaten in Australia, but never been on the soft. And if you are having a Saturday quaddie, you’d be crazy not to do so at Centrebet since you’ll be paid out at best tote. That means if you’re placing your quaddies anywhere else, you’re being shortchanged.